Are you trying to cut the costs on your new home? A recent trend is to buy land and a then a shipping container. Shipping containers a cost below $8,000. Adding all the modification such as windows, doors, wall finishing and paint can add up. One way to cut the costs is to do it yourself. 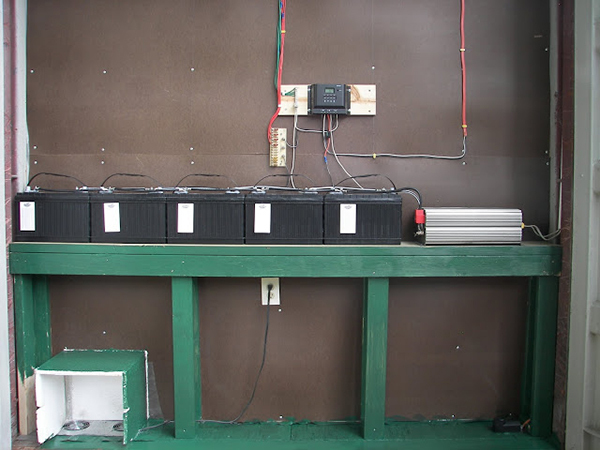 In this article, the electrical system set-up will be covered. Before attempting to put something together, first decide the layout of your new house. Where will all the rooms be and how many rooms will you have? What type of power system will you have? Will you use solar panels? After deciding on what type of power source you will use and what mechanisms you want in your home, you can begin planning the power circuit. This circuit uses a solar panel in its electrical system. Basically the circuit here is an example of what your circuit board can look like running a DC current. To set this system up, it is important to know where you want each device and to try to cut down on using as much wire as possible. 1. Set up your charge controller. Have a place designated such a cupboard or shed to put your controller and make sure it far above the ground to avoid floods and away from a place which has an open flame. 2. 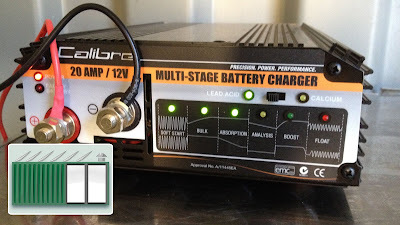 Decide what type of mounting you will use to post your charge controller. Will you use flush mounting, wall mounting, or something else? With a flush mount, a hole exists in the mounting surface where the charge controller is placed. This provides some space behind the controller. A wall mount is when the controller is screwed into the mounting surface. The wires from this controller run down the wall or through a hole in the wall behind the controller. 3. After mounting the controller, will you use a solar panel? If you do then first mount the solar panel. 4. 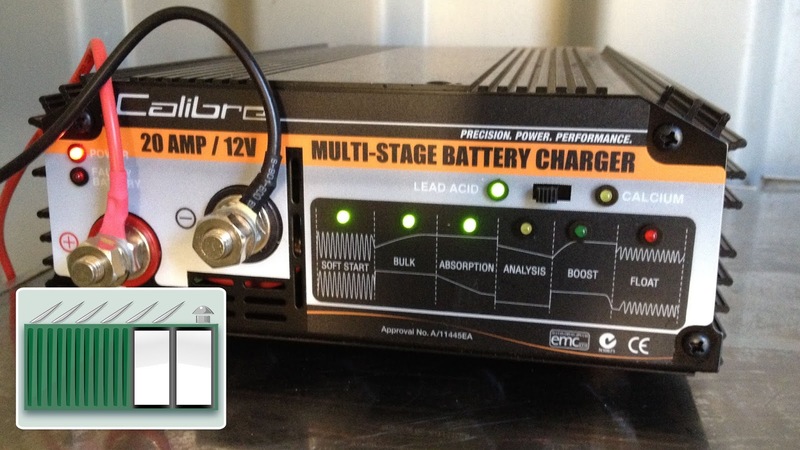 Decide if you want lead-acid or gel-cell battery mode. 5. Connect the positive (red) wire of the solar panel to the positive controller (be careful not to short circuit the array) fitting the wire through the input/output junction box. a. To connect the wires either crimp the stranded wire to the device or solder the stranded wires to a thinner smaller wire with a wire nut and then attach. b. Also, make sure you have the correct AWG with the wire length as the longer the wire, the lower the AWG. 6. 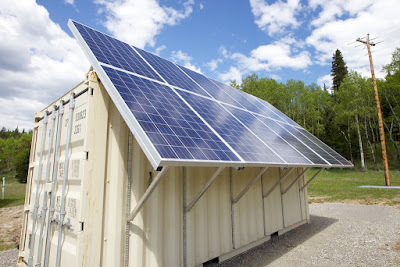 Connect the negative (black) wire of the solar panel to the negative controller and fitted through the same junction box. 7. Decide where the batter will be. Will you have it in a separate room or in the same room? Measure out the appropriate amount of wire. 8. Use a stranded wire to connect the battery to the controller positive battery to positive controller first through a input/output junction box. 9. Then attach the negative battery wire to the negative controller through the same junction box. After the batter and the solar panel have been connected, make sure they are working properly. I you are using a solar panel, the battery should start charging automatically and a display will show on the LCD screen of the controller. 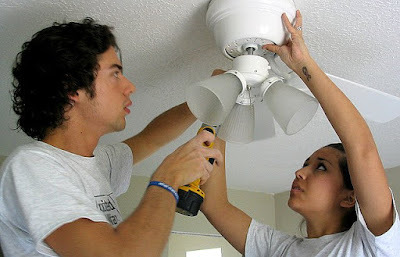 Installing wire for lights, fans, etc. 10. Using the same method of wires and wire length as with the battery and solar panel, measure out the wires from the controller to the desired location you want the new fixture. 11. Similar to the battery and the solar panel, attach the red and black wire to the controller then lead the wire away from the controller into an input/output junction box. Make sure the red wire connects to a circuit breaker before entering the input/output junction box. 12. After the red and black wires have been through the junction boxes, the wires will need to be split off according to how many boxes you want to supply with electricity. 13. After the wires are split according to box number, in each box, the wires will need to be split according to how many fixtures you have. In the provided example, three different types of fixtures are present in the kitchen container – 12V LED lights, 12V car socket, and 12V toilet fan. So the red and black wires will be split into three to accommodate all three fixtures. 14. The LED light fixture are ceiling panels of four lights each which has been recommended to accommodate up to five in each container. The lights also have a pull switch. 15. After the wire has been led the appropriate place, twist the neutral wires together and the hot wires together from the wall and from the fixture. Then put the wire nut on the ends. 16. Tuck the wires into the ceiling or wall box. 17. Screw the fixture into the mount. 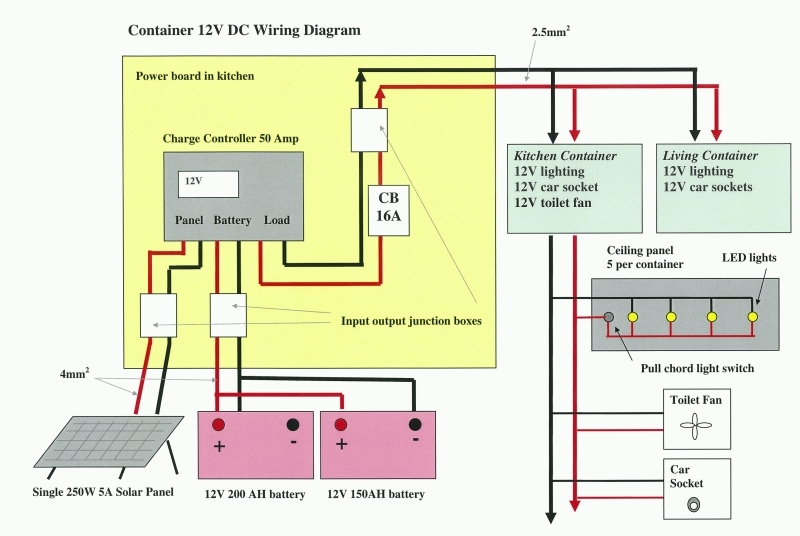 Overall, this has served as a rough guide for installing an electrical system in your container house. 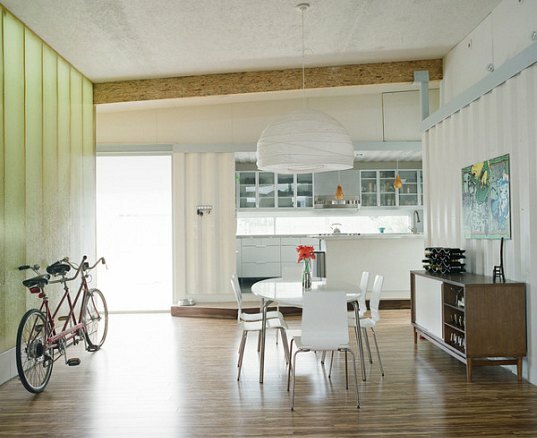 Many other examples exist and books have been written about this popular new trend of converting containers into homes. I encourage you to speak with your local hardware store for specific advice in terms of installing specific devices, on following appropriate wiring requirement (i.e. dimensions), using the appropriate current devices, and making sure all of your input and output amp add up and don’t short circuit your home. The factor is, some people love the use of two dietary supplements. when you have in no way attempted a weight reduction supplement before. You in all likelihood don’t even recognise whether you’d such as you in your routine yet. That is the reason it is extremely important to employ an authorized and trustworthy like the long shoreline electrical work experts to do any electrical work for you. Members are not advised about the meal that are being slim quick keto studied, and after a few a few several weeks, the changes are calculated and conclusions are produced. Swelling joints are calculated for a loss of swelling, as well as a number of other symptoms, and these two random categories are then in comparison to one another to see if the foodstuff technique had an effect on the participants. mx male " females routines and community interactions ("gender identity")? Can the multi-tiered complexity and richness of person maleness and femininity arise from simpler, deterministic, building blocks? Sociobiologists would have us think so. Ebay is a fantastic market, but just like a genuine market, you, as the buyer, need to have your wits about you. There are some excellent online weight loss programs that come strongly recommended , so be diligent in your collection of one and you will find yourself getting rid of that bodyweight and being your recommended bodyweight. to 2d helpings. You'll find it clean Keto hack to push far from the desk feeling happy. A exquisite deal of studies is being carried out into the results of satiety (the feeling of being complete) on overeating. Hormones circulating thru the frame carry messages to the mind to suggest starvation of "fullness."